Earlier this month, during their annual meeting, the American Medical Association (AMA) publicly recommended that pain be removed from the panel of vital signs for which patients are assessed. 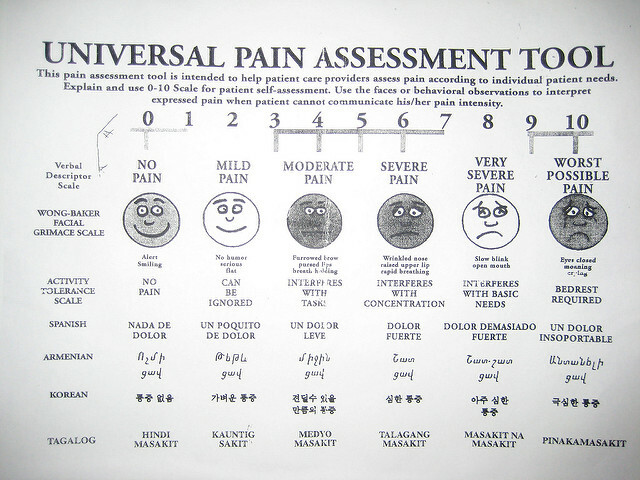 Assessing level of pain as a vital sign became common practice in the mid-1990s. Unlike blood pressure, heart rate, respiratory rate, and temperature, which are assessed and measured by a nurse or doctor, a patient self-measures his or her level of pain, rating it on a scale of one to 10. This recommendation from the AMA comes from the desire to right the wrongs done by overprescribing opioids. There’s also some concern over how pain management is assessed on patient satisfaction surveys. Medicaid reimbursements to hospitals are impacted by how a patient rates the care he or she received, which includes how patients felt their pain was managed. Hospitals receiving a low rating do not receive the full reimbursement. However, critics of the AMA’s recommendations worry that the pendulum will swing too far the other way, causing physicians to ignore patients’ pain altogether. They argue that this approach is not a solution to the opioid epidemic, which already has people turning to heroin, as it has a cheaper price tag and can be easier to obtain.